Dens located in extensive boulder fields, rock slides, outcrops, terminal moraines, and talus slopes in alpine tundra with large rocks and adequate herbaceous forage (Bee and Hall 1956, Manville and Young 1965, Cook and MacDonald 2003). Rocks must be large enough and accumulated to a depth sufficient to give subsurface protection. Shallow accumulations of boulders or slides of any depth that have been completely sealed in with vegetation are uncommonly used, nevertheless, stabilized rock fields and lateral moraines in mountain slopes in the later seral stages of succession are inhabited. Dens are often located near an observation post, such as a tall rock or cliff edge, within 10 m of the entrance (Bee and Hall 1956). Dens are created by burrowing into permafrost soil under rocks (Hoffmann 1999). Cook, J. A. and S. O. MacDonald. 2003. 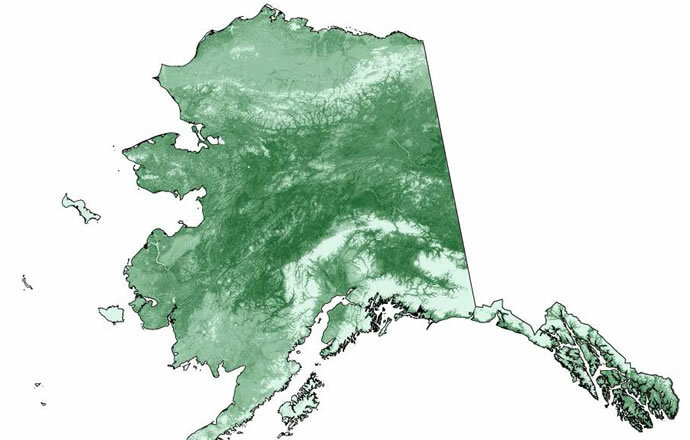 Mammal inventories of Alaska’s national parks and preserves: Gates of the Arctic National Park and Preserve. Annual Report 2002. Hoffmann, R. S. 1999. Alaska marmot, Marmota broweri. Pp. 393-395 in: Wilson, D.E., and S. Ruff (eds.). The Smithsonian book of North American mammals. Smithsonian Institution Press, Washington, D.C., in association with the American Society of Mammalogists. 750 pp. Manville, R. H. and S. P. Young. 1965. 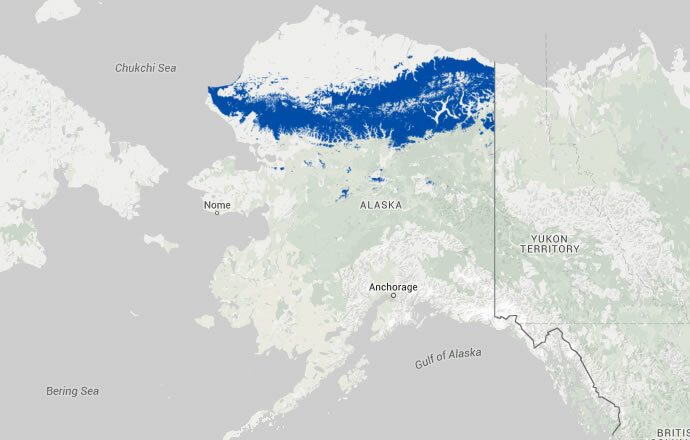 Distribution of Alaskan mammals. Bird and Mammal Laboratories , Division of Wildlife Research. Circular 211. Published by the Bureau of Sport Fisheries and Wildlife, Washington. 70 pp.